3 What are the Symptoms of Itching? 4 What are the Causes of Itching? Itching is an unpleasant, irritating, and uncontrollable sensation that makes a person to scratch or rub it. At times, itching affects the whole body and sometimes, it affects specific body parts. It means that it can be localized or generalized itching. Homeopathic mode of treatment is an ideal treatment for itching whether it is acute or as well chronic. 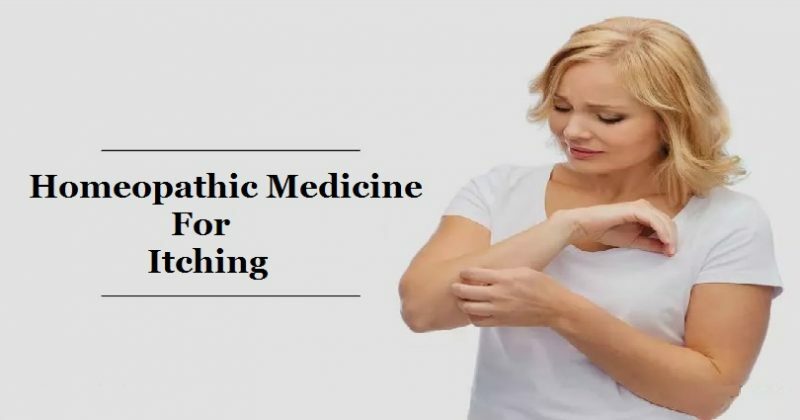 Sulphur, Apis Mellifica and Graphites are the best homeopathic remedies to cure itching. Itching can appear without any eruptions or may be with a rash as well. The skin of the person is cracked, dry, rough and leathery in nature. Bleeding spots on the skin may appear. The chances of skin injuries and infection rise due to intense scratching by the patient. Homeopathic medicines for itching give relief to the patient of itching and it can appear due to a number of reasons. In Homeopathy, homeopathic medicines have the ability to eradicate the root cause of this condition and give a long term relief to the person. They are ideal for all age groups and devoid of side effects too. Sulphur is the best medicine for itching in homeopathy. The patient of this medicine complains about the intense burning on the skin after scratching. Bleeding spots may occur on the skin on scratching it. The areas of the affected skin may be painful and sore. The patient may experience pain for a long time after scratching. In addition, the itching may shift from one place to another and skin is also scaly and dry in nature. Eruptions such as pustules and pimples may also present on the skin. Sulphur is also an ideal homeopathic medicine for itching when it gets worse at night from the warmth of the bed. Prickling and stitching sensation in the skin may also present. Itching at night also disturbs the sleep of the patient. It is also prescribed when the washing of the skin makes it worse and itching also gets worse in damp weather. Psorinum is another homeopathic remedy to treat itching that gets worse at night. The skin of the person may be greasy or rough and itch unbearably. There is a constant desire to scratch the skin and the patient scratches it unless it gets raw and starts bleeding. Small eruptions may also appear after rubbing the skin and the skin eruptions get better in the summer season and get worse in the winter season. In such cases, Psorinum is an ideal choice for treatment. In addition, it is also prescribed for various skin problems such as Psoriasis, Acne, Scabies, Herpetic Eruptions, Urticaria and Eczema. Homeopathic medicine Petroleum is an ideal treatment for itching on dry skin. The symptom of this medicine that leads to its selection is dry skin and it may be cracked. At times, the skin is hard, thick and tends to bleed as well. The skin may be painful and sensitive in nature. Petroleum is also prescribed in other skin problems including Eczema and Psoriasis that get worse during the winter season. Thick crusty eruptions along with itching, redness, burning and itchy chilblains also lead to the usage of this medicine. Graphites is another homeopathic medicine for itching by eczema. It acts well when there is itching in dry eczema as well as in wet eczema where discharges are also present. The itching is intense in nature and accompanied by burning. The skin gets extremely rough and dry. In addition, crusty eruptions on the skin are itchy that ooze watery, transparent sticky and gluey discharge. Homeopathic medicine Graphites also works well in itching on the scalp because of seborrheic dermatitis along with flakiness. Apis Mellifica is an ideal treatment for itchy hives. The main symptom to take into consideration is the appearance of large red wheals on the skin. The itching often gets unbearable and leads to harsh rubbing. Stinging pains are also present with itching and burning. Smarting and needle like prickling sensations on the skin are also marked. The skin feels red and hot and at night the symptoms get aggravate. The skin feels sensitive and sore even to the slightest touch. In addition, Apis Mellifica is also prescribed to cure prickly heat and heat rash with eruptions. Sepia is another natural remedy to treat itching triggered by a ringworm infection. A burning sensation on the skin is also experienced after rubbing. A tendency to sweat excessively with a bad smell may also be there. Homeopathic medicine Sepia acts well in cases of ringworm that become worse during the spring season. It is also prescribed to cure itchy eruptions in the bends of the limbs including elbows and knees. The skin may also be cracked and hard in nature. Arsenicum Album is a top grade remedy to cure itching in cases of psoriasis. The main symptom to consider this medicine is rough patches on the skin covered with scales which are very itchy. Scratching of the skin causes pain and the skin is dry and shriveled. Cold makes the condition worse and there may be a burning sensation with itching in the eruptions. There may be an oversensitivity of the skin. It is also an effective medicine in cases of itchy, scaly eruptions on scalp accompanied by hair loss. When there is an excessive perspiration in cases of itching, Merc Sol is the best homeopathic remedy to take into consideration. The itching of the skin gets worse from the warmth of the bed. In addition, there may be itchy pimples along with a watery content. Merc Sol is also prescribed in cases of herpes zoster along with burning, itching and stitching pains. Homeopathic medicine Silicea works well in itching that appears due to a fungal infection. The itching is present during the daytime and evening. Excessive sweating on the skin is also observed. There may be acne that burns and itch as well. Homeopathic remedy Silicea is also prescribed in cases of itching that is accompanied by pus discharging skin problems. Alumina is another remedy suggested to treat itching of the skin that leads to bleeding while scratching. The scratching on the skin is very painful. Itching is unbearable when getting warm in bed. The skin is dry and rough along with cracks. Formication of the skin may also be observed. The condition of the person gets worse in the winter season. Fagopyrum is another homeopathic remedy for itching which is suitable for older adults and it gets worse from scratching. Itching is present on the legs, arms, hands, elbows and knees of the patient. The itching becomes worse towards the evening. Red, sore blotches may appear on the skin with vesicular or pustular eruptions. Itching generally becomes better in the cold air.